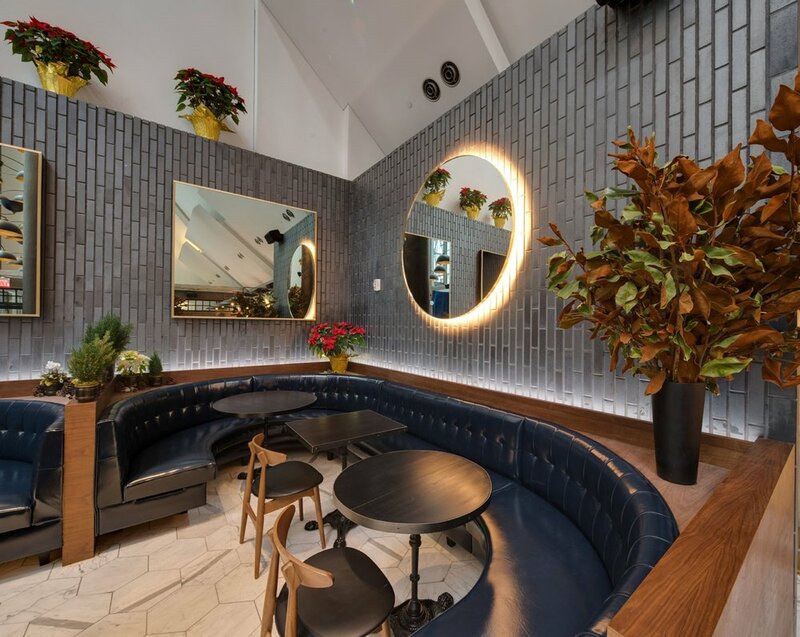 TGA NYC, the newest luxury dining experience in HELL’s KITCHEN/MIDTOWN WEST. As a Restaurant, Sports Bar, and Lounge, we present an extraordinary experience in DINING AND DÉCOR. 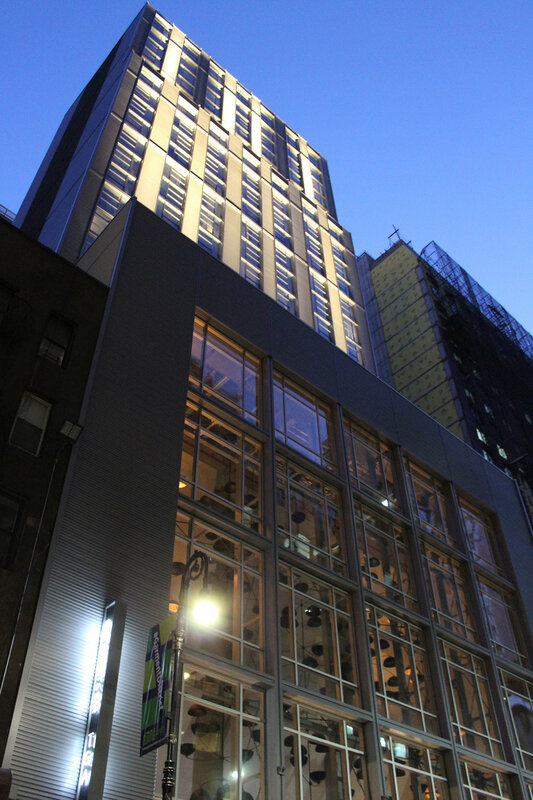 TGA NYC is housed at the foundation of the also new, 251 room Crowne Plaza HY36 Midtown Manhattan, conveniently located in the heart of New York City, near NYCs Madison Square Garden, Jacob Javits Convention Center, Port Authority Bus Terminal, and over 25 Midtown West Hotel Properties. 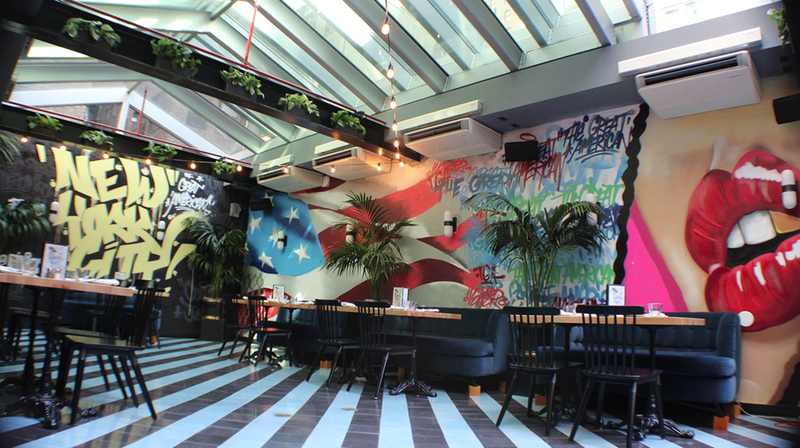 Our #BackAlley Beer Garden provides great contrast to the main restaurant and lounge areas. Renown street artist @Ideal has created a fun montage of colorful pop art, with dark and gritty graffiti which creates a unique feel to the already attractive and inviting space. 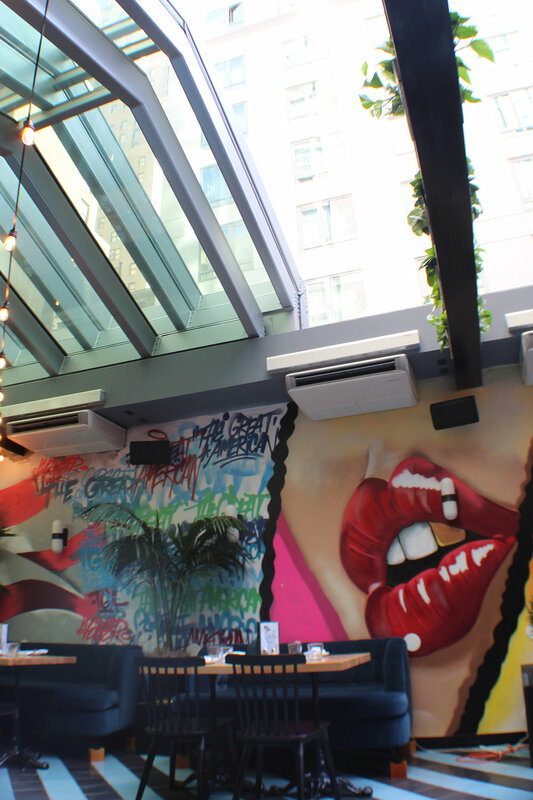 The #BackAlley Beer Garden is encased with a retractable glass roof, employing some great weather atmosphere for weekend brunches, dining and drinks. TGA NYC’s #BackAlley Beer Garden is the ideal (no pun intended) space for private events, or your next unique NYC experience! TGA NYC features a modern American food menu for daily Breakfast, Lunch and Dinner, along with Happy Hour every weekday. We also offer a Bottomless Brunch on Saturdays and Sundays.